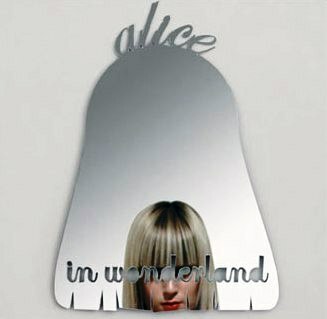 Here is a fun, unique mirror from Hemlock Design. 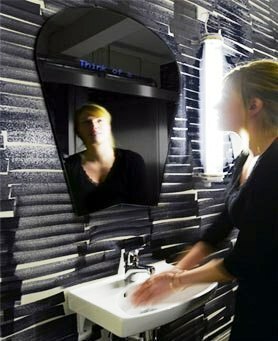 The Funhouse Mirrors are made of eighteen individual tiles that are placed by hand in a strategically placed design. It’s not just a functional mirror, but it’s also a fun decorative art piece that adds intrigue to any room. The Funhouse Mirrors are available in four different sizes so you can choose the size that works for you. You can entertain yourself for hours by gazing at all the reflections in the Funhouse Mirror. Save the earth from harmful glass cleaners with this simple concept. 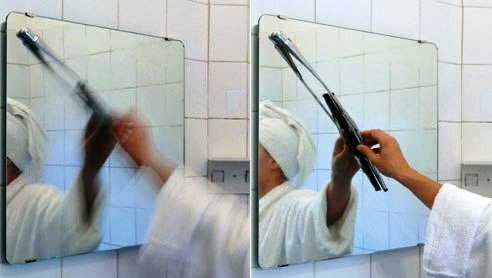 This Windshield Wiper Mirror from Causas Externas Studios is great for cleaning the steam off after your shower. And it’s eco-friendly too, since you’re recycling your old windshield wipers! This is a humorous, but practical rendition of a bathroom mirror. Add a modern touch to your bathroombedroom, or living room. with the Windshield Wiper Mirror, and a little bit of humor, too! Entertain yourself in this mirror for hours! The Carole Mirror, designed by Robert Stadler, will offer you inspiration every time you look in the mirror. 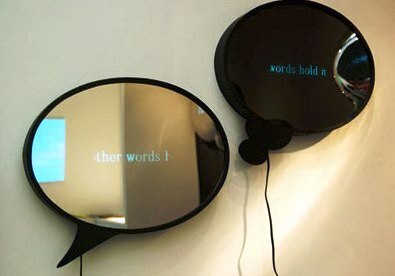 Words are displayed on the mirror to answer all of your questions. Just don’t believe everything you hear! Most of the responses are common sayings and proverbs. The tear drop-like shape is a really cool finishing touch to this unique mirror. The Carole mirror is a creative, modern take on your everyday mirror, and you’ll always have someone to talk to! The Fukadasi Mirror designed by Studio Foundations is a hilariously unique piece. They come in the form of quotation bubbles or think bubbles you might see in comic books and cartoons. The really original part is that you can program the mirrors to say whatever you wish. You can even see the words inside the mirror! The Fukadasi Mirror comes in various shapes, and it’s sure to be a hit with all your guests. 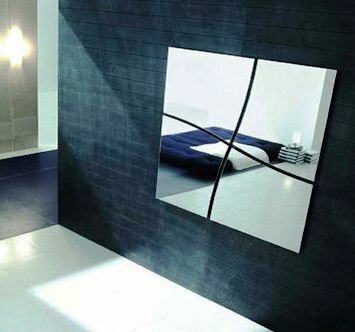 For a super high tech mirror, check out this mirror designed by Robert Stadler. 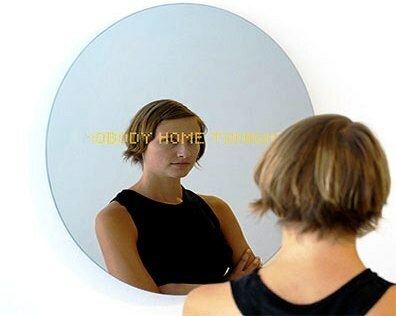 This one of a kind mirror can actually receive text messages and display them! Bright yellow text is displayed in the mirror, so you don’t even have to check your phone while you’re getting all dolled up for a night out on the town! This is definitely a mirror from the future! The Diamond Mirror is an elegant mirror designed to bring out the purest quality of reflection. It’s made with the finest, high quality materials available, and the facets are hand crafted. The quality of the glass, along with the silver lining, allows for the most vivid reflection available. Another unique quality of the Diamond Mirror is the secure magnet mounting system. This magnet mounting is not only sturdy, but it allows for easy adjusting and leveling. The Diamond Mirror is truly a modern day version of the original mirrors from the 17th century. It’s not only a mirror to check your reflection in the purest of mirrors, but a decorative piece to add to your décor. The intricate laser-cut design around that is the border of the AQHayon Mirror adds elegance and intrigue to any room. It’s made of stainless steel so it’s sturdy and easy to clean. The AQHayon Mirror comes in three sizes, so you can use it to decorate any room you choose. Two different silkscreen finishes are available; you can choose black or white. This beautifully crafted mirror is truly unique in its design. It’s a modern, classy mirror that can be used in any room of the house, whether it’s the bathroom, bedroom, or living room. Fixing screws are included, which allows for easy, hassle-free mounting. The beautifully crafted Vanity Vanities mirrors from Dilettante are fit for a king! These mirrors have intricate detailing, from the crowned top to the etched sayings from Marlowe or Shakespeare inscribed at the top, below the crown. The mirrors are shaped to resemble royal symbols, and the precise, intricate design of the entire piece is remarkable. The Vanity Vanities mirrors will add elegance to any room. These glass mirrors come in two sizes, so they will fit in almost any size room. The Transglass Mirrors, designed by Tord Boontie and Emma Woffenden, have intricately cut details and designs that make them truly unique. Both designs are based on Guatemalan tribal masks, the Dog and the Star. 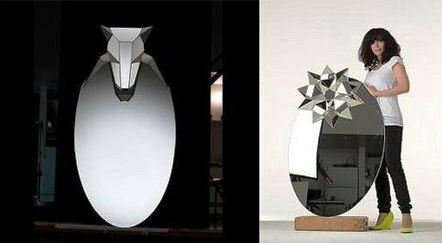 Each oval mirror has a three dimensional star or dog design, and each one is hand cut and polished in Guatemala. The three dimensional design is truly a work of art of its own. Transglass mirrors are not only functional mirrors, but a piece of art to display that adds intrigue to any room. The Vertana Mirror is a simple, modern mirror that adds functionality to any room. It has hangers and hooks for coats or clothes. The Vertana mirror is made of Japanese Sugi wood, and it’s custom made and hand crafted in Japan. 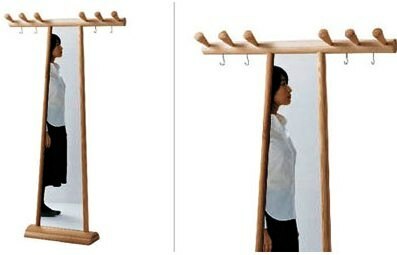 The full length mirror is fantastic, and the hooks and hangers are a unique detail that makes this mirror a must have. The shape of the mirror is long and thin, so it will fit almost anywhere. The Vertana Mirror, designed by Enzo Mari, has also won the ICFF Award for Craftsmanship. 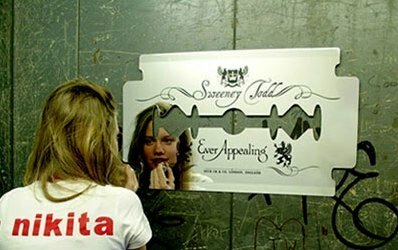 The Razorblade Mirror is just that – a mirror in the shape of a razor blade. It has intricate designs and is inscribed with “Sweeny Todd” and “Ever Appealing”. And with all that, it’s still a functional mirror. The Razorblade Mirror is unique and original. It’s a modern design from Phil Sims that’s become very popular. It comes in a 680 mm by 400 mm size, and it’s a great decoration to add to any room, not just the bathroom! Here is a beautifully carved mirror designed by James Irvine. 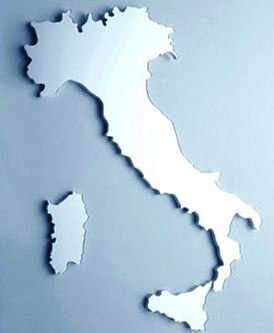 It’s in the shape of the beautiful country of Italy, and it’s crafted from methacrylate. This Belvedere Italy Mirror is an exquisite decorative piece that just happens to double as a mirror. The intricate detail around the border makes an exact replica of Italy, complete with the Island of Sicily. This mirror is sure to be the center of attention no matter where you decide to display it. See yourself from every angle with the full length Snowhite Mirror. It comes with three different panels for viewing your outfit from all angles, and it comes with wheels attached, so it’s super easy to move around wherever you want. 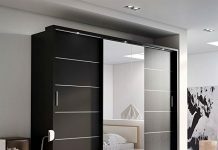 It can also be used as a screen or divider to add privacy to any room. The back is covered in a really cool super shiny sanitized aluminum, too. 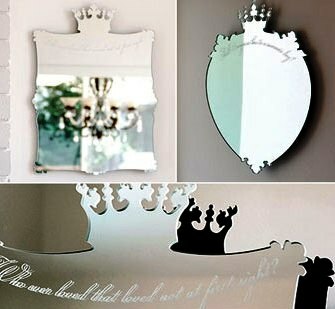 The Snowhite Mirror is perfect to satisfy the princess in all of us. Karim Rashid designed a beautiful, functional mirror that is diverse in its uses, and the wheels make it easy to take advantage of all of them. The Mingle Mirror, manufactured by Umbra, is a creative multi-mirror design that combines art and function. There are eight ten inch square mirrors that overlap, and it makes a great addition to any living room or bathroom, or even a den or bedroom. The overlapping mirrors are creatively arranged with spaces in between that add depth to the entire piece. Mounting is secure and easy, as the mirror comes with a support frame that is simple to install. Add a modern touch to any room with the Mingle Mirror. If you are bored of those monotonous mirrors in usual squares, rectangles or ovals and are looking out for something really jazzy and different, then I think this ‘laser cut mirrors’ from Elsewares called the Self Potrait Mirror are perfect for you. Actually these are no mirrors but acrylic so no fear of breaking or cracking. These mirrors actually celebrate the marriage between fun design and cool craftsmanship with small designs like a moustache or the stag horns that will bring smile to your face every time you’ll look into them. 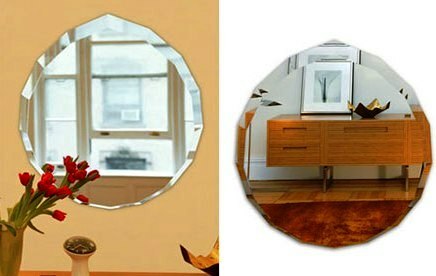 The self portrait mirrors are a fun alternative to your regular old boring mirror. It has intricate laser-cut detailing around the outside as a border. They’re made of acrylic, so they’re really durable and will not crack easily, and mounting is simple, too. They come with various designs, like moose antlers or a moustache, so any one who’s checking themselves out will get a laugh.The Self Portrait Mirror from Elsewhere’s is a creative way to display your character, and the designs and carving around the outside make it a nice addition to any room. Karl Zahn came up with a great way to re-use old or broken pallets from all over the world. The Pallet Mirror is an eco-friendly mirror that adds a nice, homey feel to any room. The wood from the pallets has scars and bruises, but that’s what makes each one truly unique in its own way. 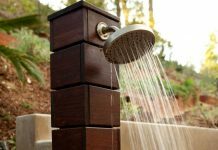 The pallet parts are carved and cut in a design that adds originality to the all natural wood. Although this is a simple design, it’s really a modern version of an old Victorian mirror, and the fact that it’s eco-friendly is a plus, too. 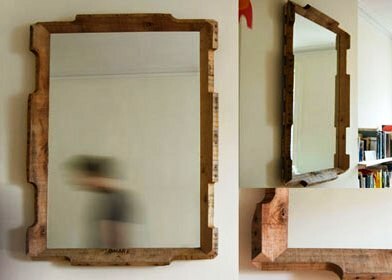 Enjoy a simple yet creative mirror, and give those broken old pallets a new home with a Pallet Mirror. Wake up at the beach every morning with this surfboard-inspired Surf Mirror designed by M. Perego. It’s a true to life scale model of a surfboard, only you can see your reflection in this board! Since it’s the size of a surfboard, you’ll be able to see yourself in full length every time you gaze into the Surf Mirror. 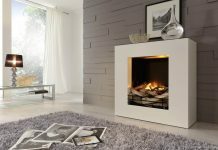 The wooden frame comes in black or the natural wooden cooler, and it looks great as part of any décor, whether it’s modern, casual or more elegant and old fashioned. It’s also available with attachable center shelves that add convenience for dropping your keys, hold a cup, or a watch, or whatever you choose. The Surf Mirror is truly unique and a great way to let every beach lover “Hang Ten” every day. 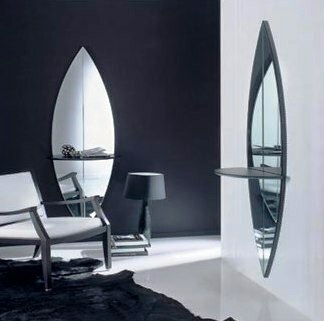 The Rocco Contemporary Mirror is a beautifully sculpted mirror that doubles as a modern piece of art. The mirror is cut into four asymmetric pieces, almost like a curvy window pane. Each mirror is bordered with tempered glass, and they fit together to complement each other in a stylish, trendy way. The Rocco Contemporary Mirror is a unique piece of art that adds a modern touch to any room, and the glass gives a clean, vivid reflection. The design and cut of the mirrors adds glamor and intrigue to an otherwise everyday square mirror. 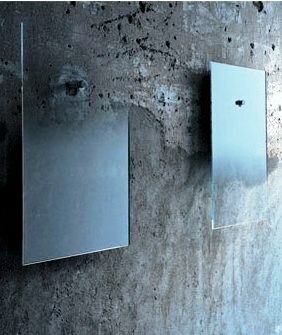 The Narcisse mirrors are a collection of mirrors from different designers. Each one has its own unique theme. Original shapes, unique designs, and intricate detailing are found on each mirror. The mirrors in the Narcisse collection are fresh and fun. They can be displayed in any room, and each one is not only a mirror but a piece of art. It may be hard to choose between all the different, unique mirrors in the Narcisse Mirror collection since there are twelve different options available. There are options available for every style and personality, and these mirrors are a trendy way to reflect your character. 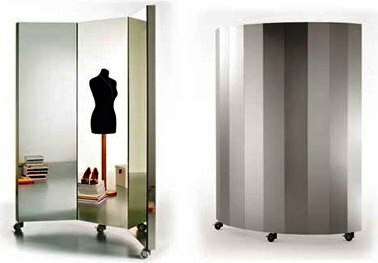 The Fiction Mirror was designed by Jean-Marie Massaud working with Glas Italia. They are made with extra light glass and shaded silvering, which combined together make an interesting, abstract mirror design. A chromium plated cylinder is used to mount the Fiction Mirror. Depending on how you hang it, the degrading shade can be upwards or downwards. 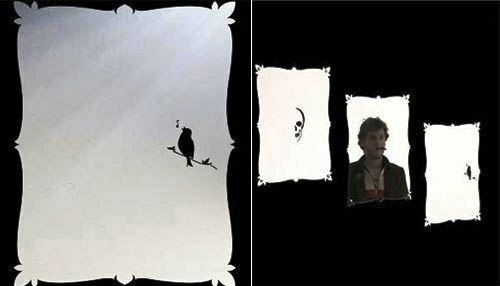 These are really cool, because the silver shading makes them blend into the wall. The Fiction Mirrors are a true modern mirror and a piece of art in one. The Mirror Puzzle is the most fun you’ll ever have with a mirror again! It is an actual puzzle, and comes complete with puzzle board. It’s a fun, modern version of your everyday bathroom mirror, and it’s entertaining, too. 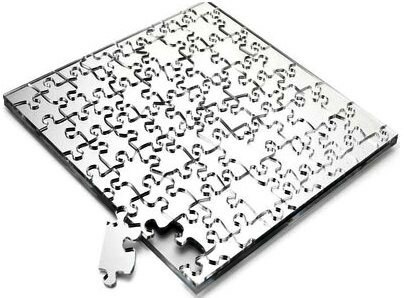 The Mirror Puzzle is a great table centerpiece, and it’s sure to be the center of attention at any party. Offer all your guests a fun challenge with the Mirror Puzzle. This piece explores the line between digital and physical, using a warm and natural material such as wood to portray the abstract notion of digital pixels.These Wooden Mirrors are amazing. 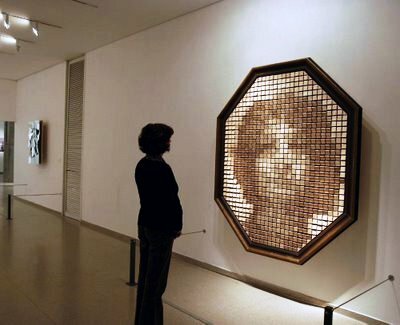 Each one is made of over eight hundred tiny wooden tiles inside a wooden frame, but what you can’t see are the cameras and computer inside that allows the wooden tiles to reflect what the mirror sees! This is a truly amazing concept, and the natural look of the wooden tiles is soothing to the viewer. The mirror recognizes and reflects images immediately. Daniel Rozin truly came up with a unique, modern mirror that is high tech, but that still has an old fashioned feel. The Who Tall Are You Mirror will not just tell you how tall you are, but WHO you’re as tall as! 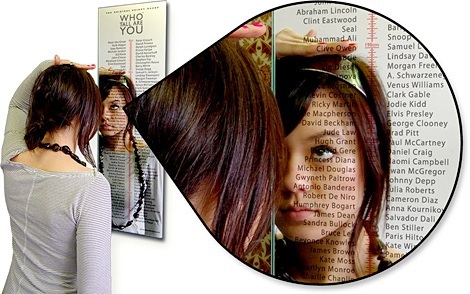 Over 120 current and past celebrities are listed on the Who Tall Are You Mirror. You’ll find current celebrities like Clive Owen, Brad Pitt, and Beyonce Knowles, as well as celebrities like Clark Gable, Marilyn Monroe, and Abraham Lincoln. This mirror is rectangle in shape, and is a functional mirror, so you can still see how good you look as you discover Who Tall Are You. The River Mirrors design Mirrors by Caryn Moberly are sleek, elegantly designed using all natural wood. 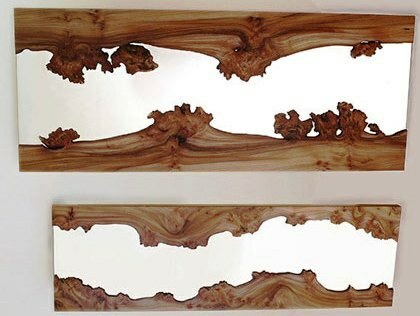 The wood was intricately carved by nature, and there is no other design that would look better in the River Mirrors. The wood adds a natural look, and the mirror seems to be a river running through the wood. Various options and variations of the mirrors are available in various sizes. The mirrors can be hung vertically or horizontally. 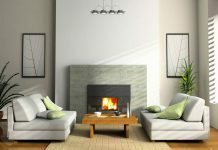 Caryn Moberly designed functional, modern pieces of art that add light to any room, and not to mention a piece of nature. 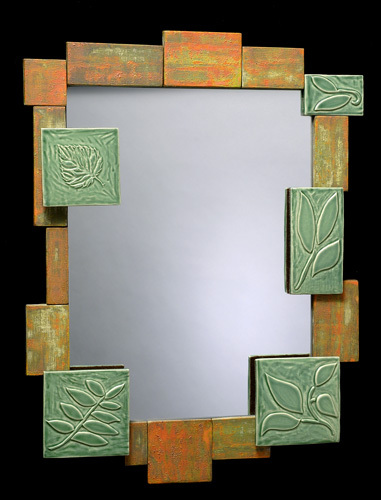 The Handmade Tile Leaf Mirror incorporates hand made colored tiles into its design. The tiles are orange and green, and the glazed covering gives them an antique look. Each green tile has a different leaf design carved into it. The mirror is rectangle in shape, but the tiles are arranged around the border for an asymmetric border. The Handmade Tile Leaf Mirror measures 17 inches by 23 inches. This mirror will add color and light to any room, and the intricate details add originality to the Handmade Tile Leaf Mirror. The Full Moon Mirrors from Alchemy Glass and Light are amazing to say the least. The outer portion is made of beautifully crafted glass fused with minerals and metal, which gives a gorgeous colored and textured glass finish. The fusion of these materials produces an amazing illuminating light. The light radiating from the mirror is displayed in a fantastic pattern that resembles the halo effect seen during a solar eclipse. Each one is about eight inches in depth from the wall. Three different models are available in different glass colors. 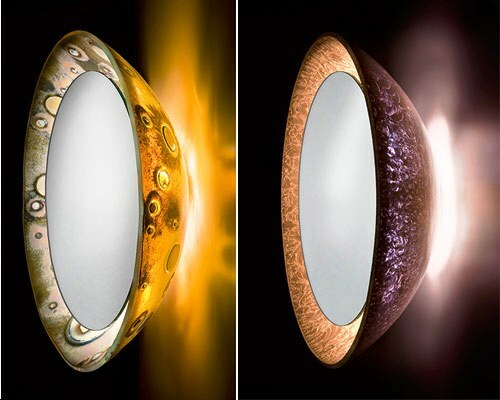 Choose from Celestial, Cienega, or Prestige to add not just a mirror but an amazing, illuminating light show to any room. As one’s name is the most beautiful sound similarly Mirrors are the most loved accessory as they reflect oneself. We often spend quality and ‘quantity time’ in front of mirrors gazing the most special creature on the planet!! Hence, it would be apt to choose a mirror design that arrests one at the first sight. Bathroom Mirrors are a very familiar accessory as the space accounts for that quantity time we spend there. 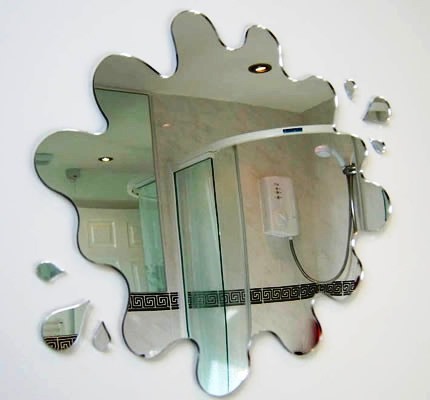 Add a splash to your bathroom [remodeling bathroom] with the Bathroom Mirror! It is literally shaped to look like a splash of water. This is a really cute, creative mirror that adds personality to any bathroom. The glass is cut into perfect detail, completed with little islands of splash droplets. Kids will really enjoy this fun mirror. 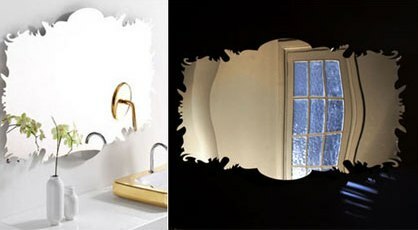 Give your bathroom [bathroom decorating] a whole new, fun look with the Bathroom Mirror. If you thought those wall-size arcade artworks I wrote about the other day were a bit too bold for your taste, you might want to check out these slightly more subtle Tetris-inspired mirrors hanging on your wall instead. 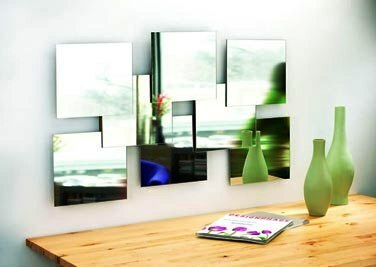 Have a blast with the Tetris Mirror designed by Soner Ozenc. It can be displayed in a rectangle, or you can have your very own tetris game whenever the mood strikes! There are thirteen interlocking pieces, and each one is made with mirrored acrylic. 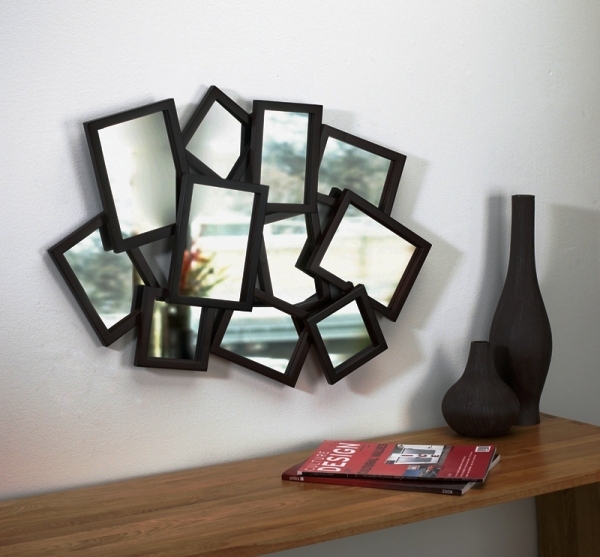 The great thing about the Tetris Mirror is the number of different ways to arrange the pieces. 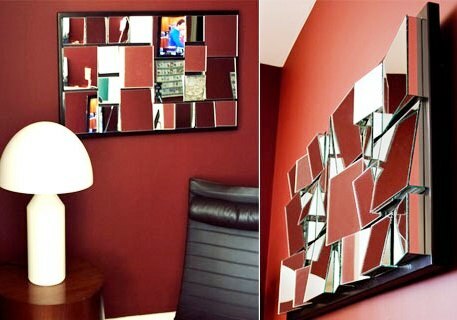 You’ll never get bored with a Tetris Mirror, and it’s a great way to add light to any room. 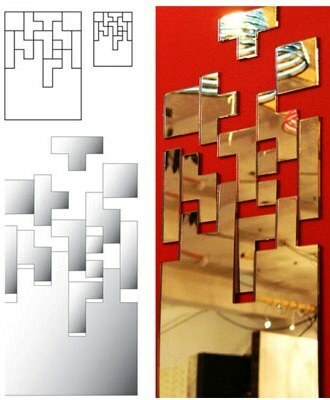 The Tetris Mirror comes in two different sizes, and you can choose from a silver or gold finish. This multi-faceted mirror is nothing short of stunning. Its many mirrored surfaces will reflect the beauty of whatever room it is mounted in, and the jumbled style will add its own personality. This mirrored cluster of wall hangings is stained a deep, rich espresso, and it is smoothly lacquered to give a pristine finish. Although the many mirrors may appear to be chaotic and random, they are designed to perfectly reflect their surroundings and radiate beauty into your home. Each of the eleven separate mirrors reflects a slightly different perspective, so you will experience a burst of color and shapes wherever this mirror is placed. The Mosh Multi Mirror is a gorgeous cluster of eleven mirrors, each framed in a stunning, velvety espresso color and finished off with a smooth lacquer. The mirrors are arranged at such an angle that each one reflects light individually. The multi faceted design and optimum light reflection adds depth and dimension to any room. This creative design adds character and beauty. The Mosh Multi Mirror is 18 inches by 26 inches in size, so it’s the perfect addition to add size to a smaller room. 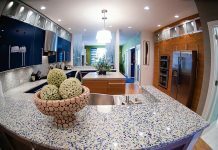 Next articleFrom Recycled Wine Bottles To Crushed Granite To Shredded Aluminum – The 9 Most Beautiful Countertops You Will Ever See!